Facing beautiful Natai Beach, Villa Nandana is an elegant four-bedroom ocean-side retreat ideal for families and groups. Just 30 minutes from Phuket airport yet well away from the crowds, Nandana offers a 20-metre seafront pool, chic yet comfy living areas, spa, gym and a wide terrace for taking in the majestic ocean and sunset views. The poolside master suite also boasts lovely sea views, and all four bedrooms are lavishly appointed with ensuite bathrooms. Villa Nandana is staffed with a full-time housekeeper and chef. 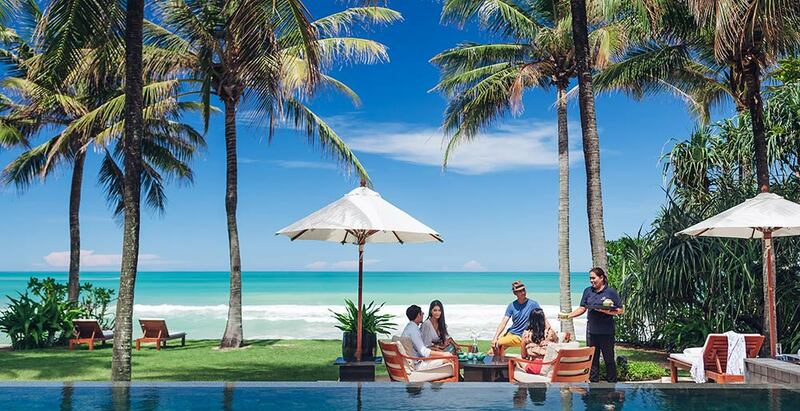 Awaiting discovery beyond the villa are the endless beaches, jungle parks and glittering bays of Phang Nga.